Career and Technical Student Organizations or (CTSOs) are an essential component of a strong CTE field. Association for Career & Technical Education(ACTE) works closely with the National Coordinating Council for Career and Technical Student Organizations to share and coordinate CTE resources. Business Professionals of America has a history as a student organization that contributes to the preparation of a world-class workforce through the advancement of leadership, citizenship, academic, and technological skills for students at the secondary and the post-secondary level. Through co-curricular programs and services, members of Business Professionals of America compete in demonstrations of their business technology skills, develop their professional and leadership skills, network with one another and professionals across the nation, and get involved in the betterment of their community through good works projects. DECA, a national association of marketing education students, provides teachers and members with educational and leadership development activities to merge with the education classroom instructional program. Since 1945, FCCLA members have been making a difference in their families, careers and communities by addressing important personal, work and societal issues through family and consumer sciences education. More than 227,000 members are active in a network of associations in 50 states as well as in the District of Columbia, the Virgin Islands and Puerto Rico. Involvement in FCCLA offers members the opportunity to expand their leadership potential and develop skills for life—planning, goal setting, problem solving, decision-making and interpersonal communication—necessary in the home and the workplace. FBLA-PBL is a dynamic organization of young people preparing for success as leaders in our businesses, government, and communities. This site was created to help current and prospective FBLA-PBL members find information about the association, its programs and services, and its members. HOSA is a national student organization that provides a unique program of leadership development, motivation, and recognition exclusively for secondary, postsecondary, collegiate and adult students enrolled in health science. HOSA is 100 percent health care! The mission of HOSA is to enhance the delivery of compassionate, quality health care by providing opportunities for knowledge, skill and leadership development of all health science education students, therefore, helping the student meet the needs of the health care community. FFA makes a positive difference in the lives of students by developing their potential for premier leadership, personal growth, and career success through agricultural education. Secretary of Education Arne Duncan delivered the keynote address at the 2010 National FFA Convention. Click here and here for recaps! The National Postsecondary Agricultural Student Organization is an organization associated with agriculture/agribusiness and natural resources offerings in approved postsecondary institutions offering associate degrees or vocational diplomas and/or certificates. National Young Farmer Educational Association is the official adult student organization for agricultural education as recognized by the United States Department of Education. With the goal of being America’s Association for Educating Agricultural Leaders, the association features leadership training, agricultural career educatio,n and community service opportunities. The Technology Student Association (TSA) is the only student organization devoted exclusively to the needs of technology education students who are presently enrolled in, or have completed, technology education courses. 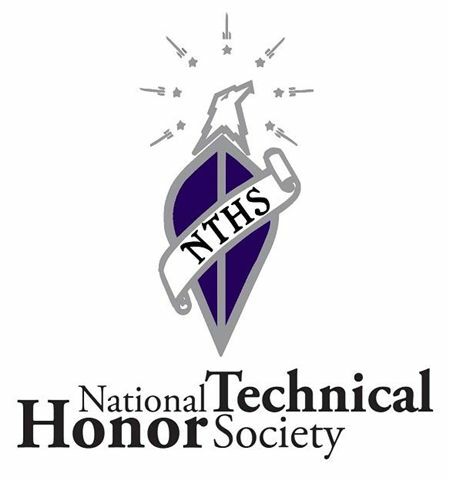 National Technical Honor Society The National Technical Honor Society honors student achievement and leadership in career and technical education, promotes educational excellence, awards scholarships, and enhances career opportunities for the NTHS membership.